Sound View Camp is excited to offer outdoor environmental education (OEE) opportunities in the spring and fall months. We offer camps for youth during their school breaks as well as invite schools (one classroom or many) to our site for an overnight adventure or day excursion. Our curriculum combines natural science, team building, and outdoor adventure and can be customized to create a unique program that fits the needs of your students. 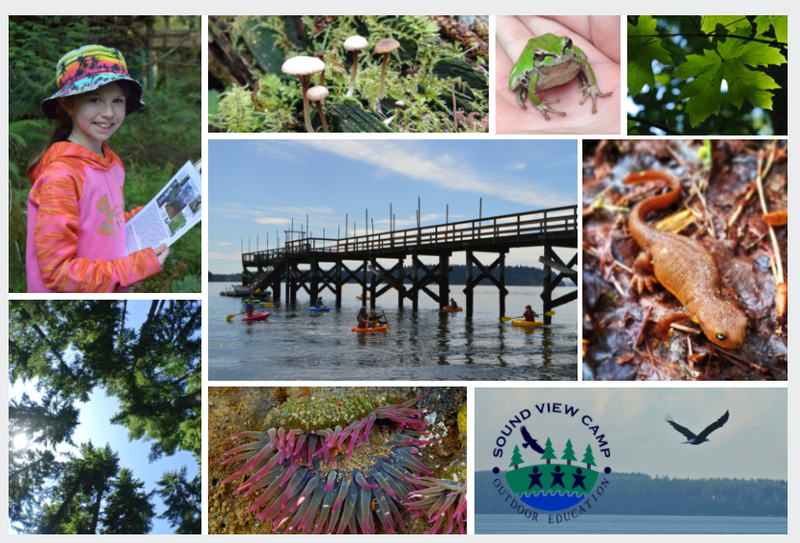 Sound View Camp is an 100-acre facility with diverse ecosystems which beckon exploration and learning. For visiting schools and classrooms, we will work with you in order to design a program specifically to fit your goals for your students. At Sound View we use an experiential education model to teach environmental awareness, social skills, and complimentary lesson plans that bring the experience alive. We use the natural beauty of our local ecosystems as great outdoor classrooms. Students are also treated to a traditional camp experience with canoeing, archery, group initiatives, and campfires. staff member "naturalists" to work with your students - to teach lessons, run campfires, and be memorable hosts. your choice of NGSS-aligned lesson plans and outdoor adventure activities that are designed for our unique site. good, nutritious food served in our dining hall. campfires or other evening activities each night, chosen by you! comfortable places to stay in one or both of our lodges. up to 6 hours - $12 per person or $18 per person with lunch provided. One adult free for every 8 students. Interested? Fill out the form or call our camp office (253) 884-9202. We have dates available for spring and fall! Parents interested in spring break camps - please visit the program links at the top of the page. Name of school or group. The date your school would arrive at Sound View. Thank you! Our Outdoor Environmental Education Director will reach out to you soon.